EU officials watching the vote last night were expecting a defeat, but they did not expect the sheer scale of what went down. Throughout the day there was careful co-ordination between capitals and the EU institutions to agree a common line and to try to keep the unity that has been the hallmark of the EU’s negotiating strategy. Donald Tusk, the President of the European Council, and Jean-Claude Juncker, the European Commission President, issued strikingly similar statements with four key messages: it was up to the UK to clarify what it wanted; the EU would remain united; it would press ahead with its own ratification procedures; and it would intensify no deal planning. EU officials were already pricing in a defeat. The feeling within the institutions was that all of the attention would be in Westminster the day after, so there would be no rush to Brussels by Theresa May. In reality, the meaningful vote would not move things on very much from December, when Mrs May was forced to pull the vote in the face of defeat. The gridlock was clear for all to see. It was only after the vote that the dynamic might shift. Speaking before the vote, one source with an intimate knowledge of the negotiations said: "We are exactly where we were in December. "Tonight’s vote is not even going to show that there’s a dynamic, that there’s something that’s in the making, that it’s just the first go, and that they were always going to reject it once. "You need something else to break that dynamic. And that has to come from the UK." The scale of the defeat makes that even more obvious. Had Theresa May lost by a narrower margin and had it been clear that anger at the backstop neatly accounted for that margin, then the EU would have been in a more uncomfortable position. Now the responsibility for saving the deal, and avoiding no deal, does not lie with Brussels. No tweak or surgical intervention in the Irish Protocol would overturn a majority of 230 against the Withdrawal Agreement. There is also frustration that valuable time will be lost. The no-confidence motion against the government will send the Tories and Labour back into their party political trenches, and the friendly cross-party football game in no man’s land over avoiding no deal will be put on hold until Monday. Even then, no one in Europe would predict what kind of magic alchemy in the House of Commons might produce a viable plan that avoids no deal. "If she moves towards a permanent customs union, she may win Labour votes, but she loses her government" speculated one senior EU diplomat. "My guess is that that could be a way forward because there was potentially a majority in parliament for it, but on the other hand if you lose your government how do you get bills through?" However, the markets may now usher a chill into the febrile mood in Westminster. "The vote doesn’t give the EU any guidance, but at least there might be some sense of realism that will start percolating," says one EU official. One option which does at least seem more likely is an extension to Article 50. But will there even be a consensus on that? Teams of officials in Brussels have been mapping the legal implications of an extension in anticipation of a formal request, with a consensus forming that a short extension until the beginning of July would be "safe", but anything beyond that would have to be for a very good reason, given that the new European Parliament would not be legally constituted if Britain were still a member and didn’t have MEPs. 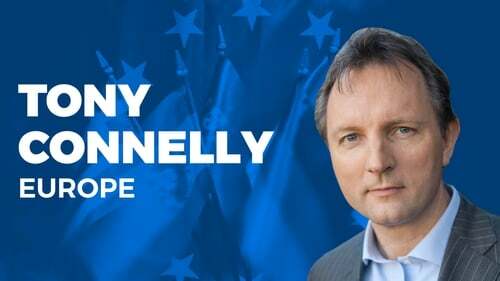 It’s also clear that the notion doing the rounds in Westminster that Germany and Angela Merkel would come to the rescue if Theresa May went back to Brussels for a renegotiation that would put pressure on Ireland seems to have been killed off by the scale of the vote. "The whole strategy of the Brits," says one senior EU official, "has been based on the notion that in the end the EU would give up Ireland. It has failed. It was proven wrong in the summer. It didn’t happen in Salzburg. It didn’t happen in November. It didn’t happen in December." The catastrophic defeat of the Withdrawal Deal will let slip the heady, thunderous atmosphere that has been building in the Commons for over a year, but we don’t know if the weather has broken or if this is a pattern that will just keep repeating itself. At least one incontrovertible fact has emerged. By Monday, and the deadline for Theresa May’s Plan B, there will be even fewer days left before 29 March.